At MailPix we understand that images come in all different sizes. 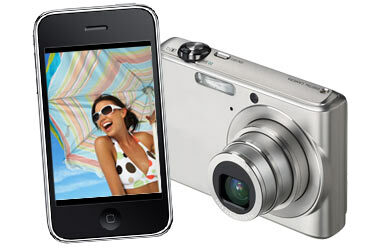 Whether you take photos with a camera or smart phone we have all the custom options you need in one place. That's why we've created a user-friendly site to make the online photo ordering process fast and simple! MailPix offers different print sizes to help you print your image with little to no cropping. Although the aspect ratio of your image may vary, you can still order MailPix Prints in any size without cropping your photos. Smart Phones and most compact cameras usually capture images using a 4:3 Aspect Ratio sensor. The image is slightly more square in shape compared to a 4x6 print. When ordering prints, many sizes will crop your original image file. As a result, MailPix Offers 4x5.3" and 6x8" digital format prints for little to no cropping. The 4x6 print size emerged due to 35mm Film and the need for a full frame, uncropped print. 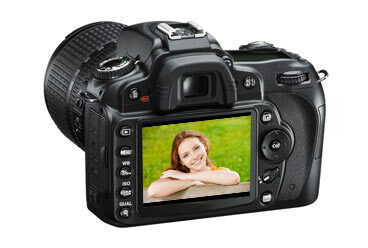 Today most Digital SLRs capture images in a 3:2 Aspect Ratio, which is the same as a 35mm Film negative. Because of this, our 4x6 photos are a great option. The Aspect Ratio of your images do not have to limit you to specific print sizes when using MailPix. If for any reason you order a print size that will crop your image, our site will let you know! Prior to checking out, our "Review & Crop Your Prints" page (Shown Below) allows you to choose how your images will be cropped so you can ensure you do not lose the subject of your photo. Just Resize and/or drag the green box around your image to choose which part of the image will be printed. Alternatively, If you wish to not have your photos cropped at all, you can choose the "Fit To Page" Print Option located on the right side of the screen. If you have any other questions about Aspect Ratio and Image Cropping, please feel free to check out our FAQ Page or Contact Us!